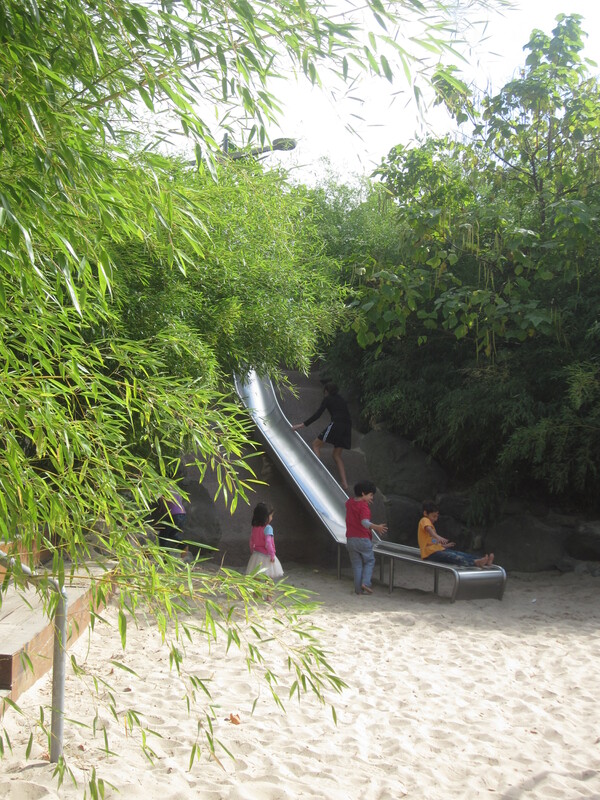 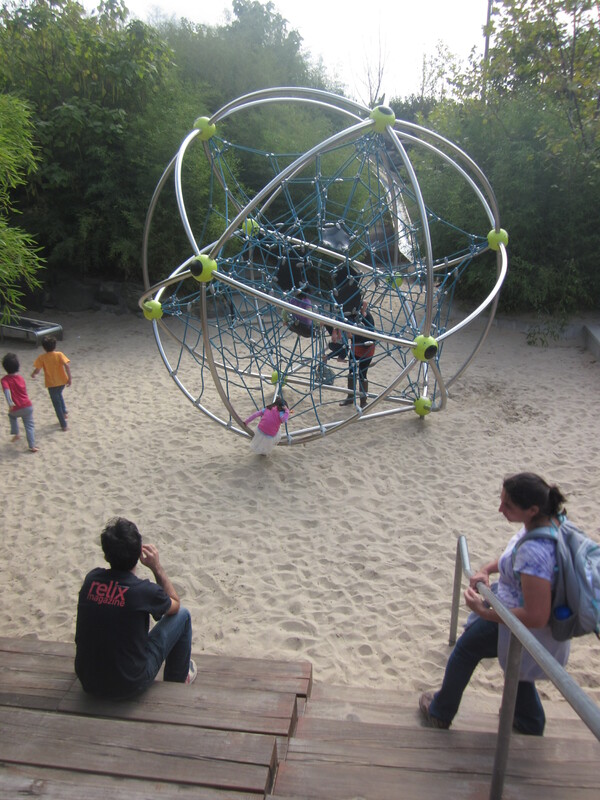 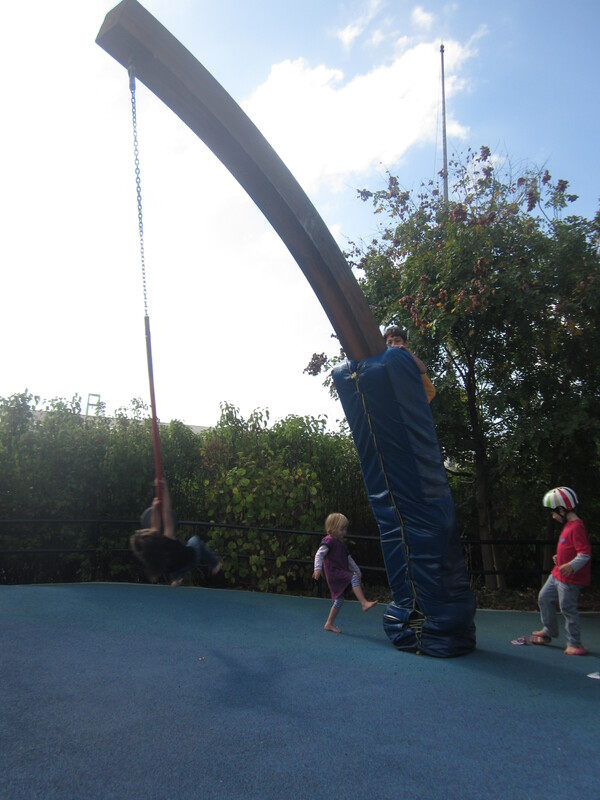 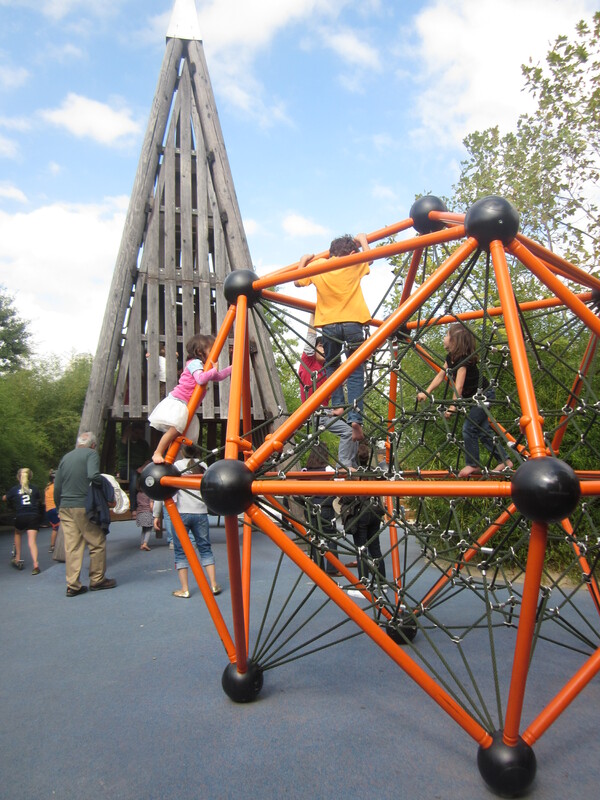 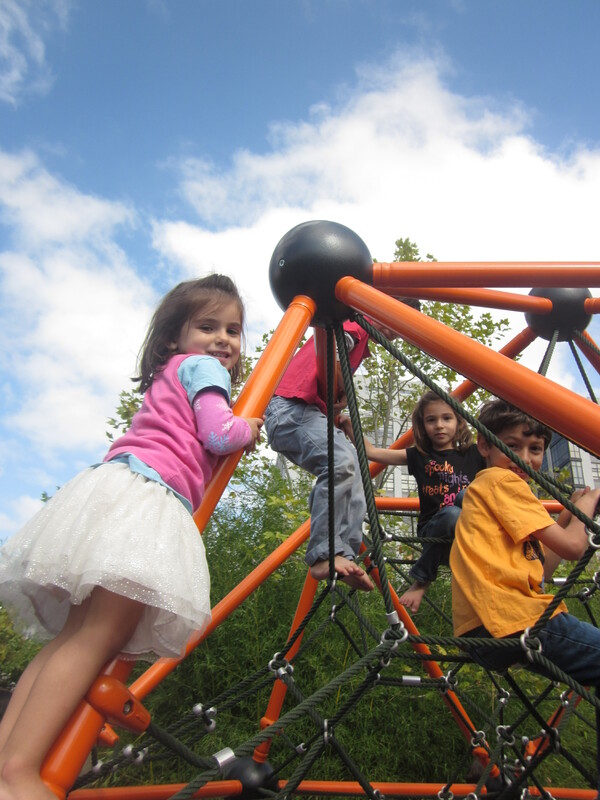 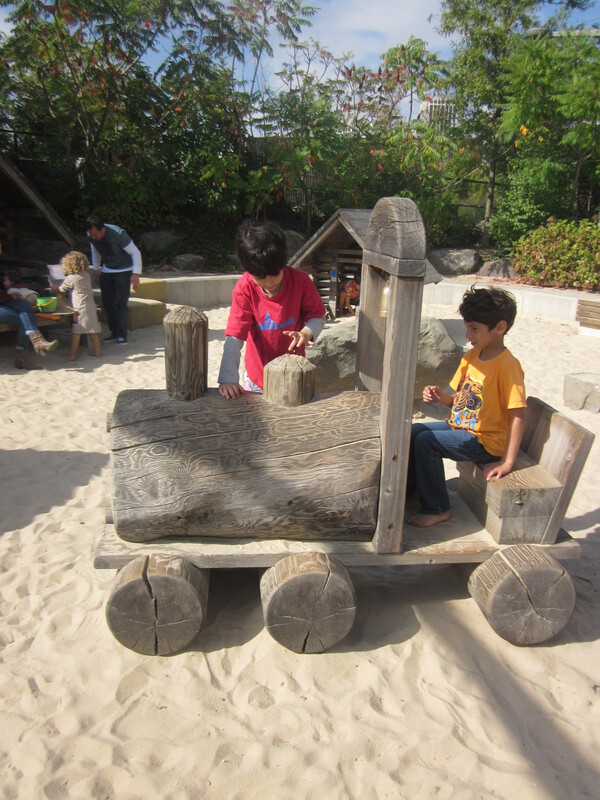 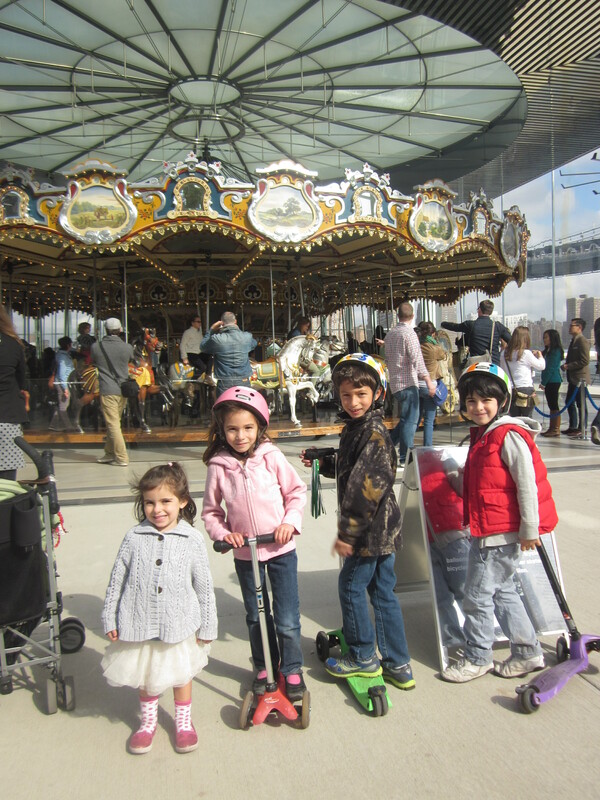 We had to show the cousins the best playground in NYC – so off to Brooklyn to find slide mountain, the swing zone and the cute little cabins in the sand at Brooklyn Bridge Park/Pier 6. 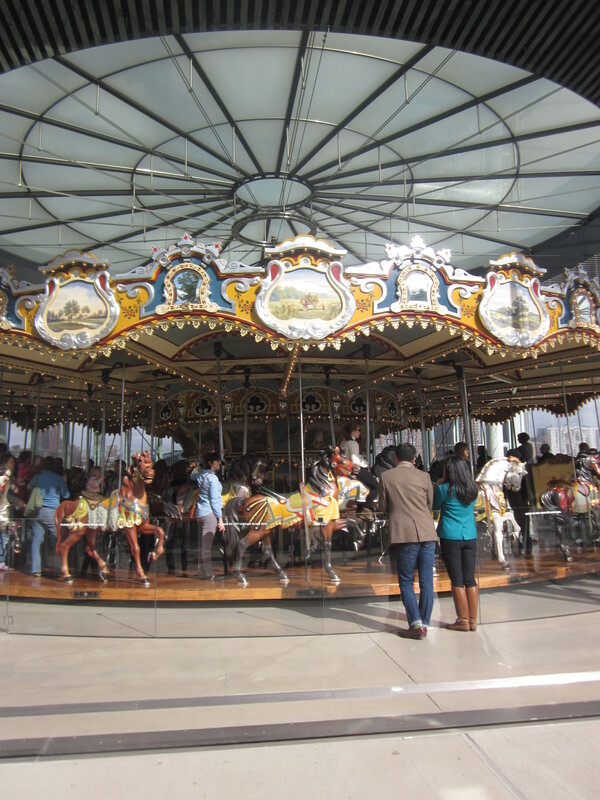 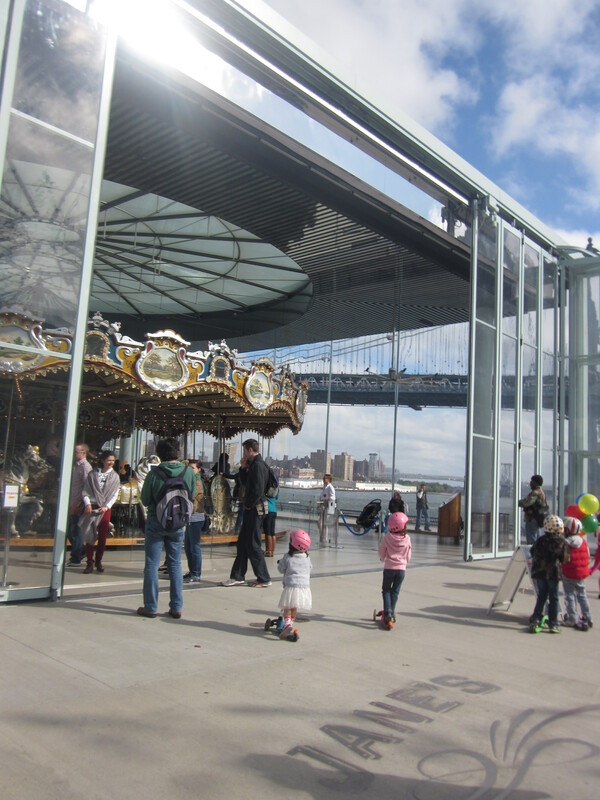 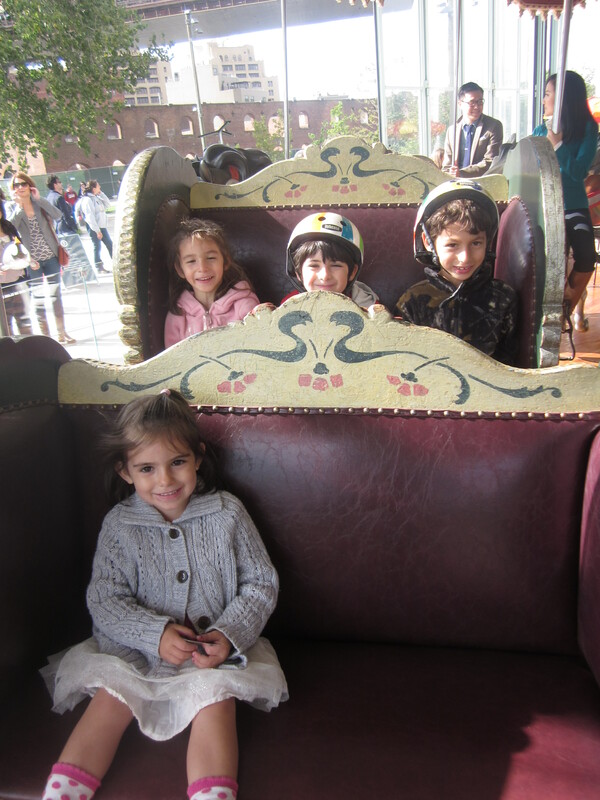 And of course while there we had to take them to Jane’s Carousel – that great big beautiful merry-go-round in the glass box by the water that we’ve blogged about so many times before! 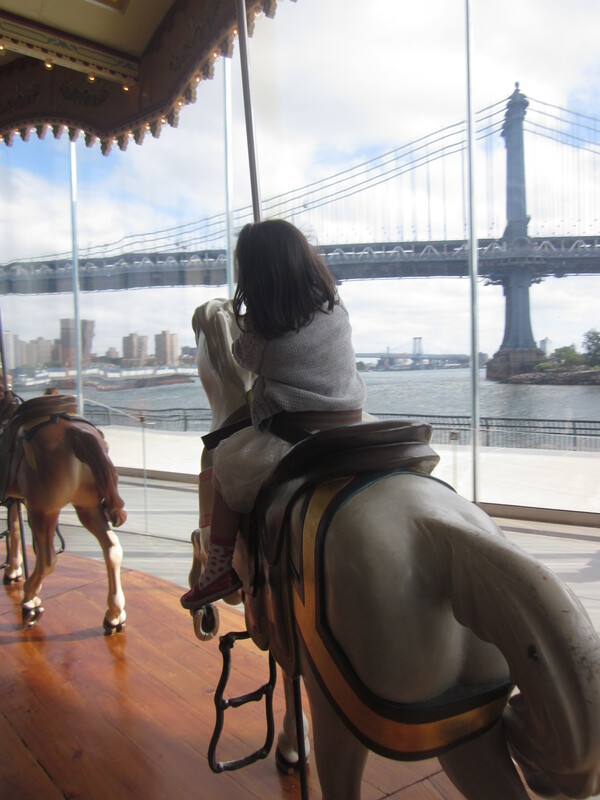 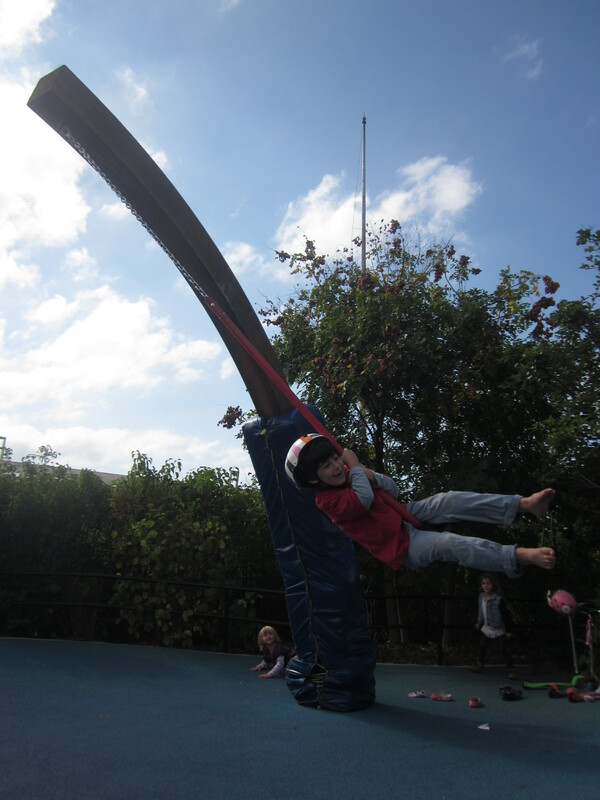 That picture of Zoe on the carousel forces me to make this really awful squealing sound.